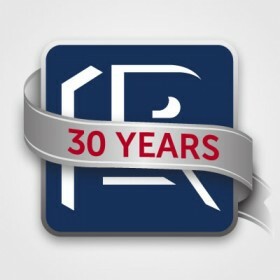 Head Quartered in Brisbane, national multi disciplinary consulting firm Lambert & Rehbein have announced their 30 Year anniversary this week. In typical low-key style the internal celebration marked what has been one of South East Queensland’s quiet success stories. Lambert & Rehbein’s Managing Director, Brent Woolgar, outlined the companies rise from a small suburban civil and structural engineering consultant located in Springwood to the nationwide, multi disciplinary company that they are today. The keys to the success of Lambert & Rehbein have been, and will remain as “providing all of our clients with personalised and responsive service; surround ourselves with the best people; and empower those people to deliver outstanding outcomes” Mr Woolgar stated in his address. “We are extremely proud of what we have achieved and are excited about the next 30 years of our journey. Despite all of the uncertainty and economic gloom that prevails at present Lambert & Rehbein will continue to grow and prosper by sticking to our core values and by giving every one of our clients exactly what they want in the most efficient manner”. Mr Woolgar has been with Lambert & Rehbein for 14 years and took over the Managing Director position in February this year. “In terms of the overall economy my timing to take on the position has certainly come with some challenges” he said, “however it is facing and over coming each and every challenge that will shape Lambert & Rehbein into an even more efficient and effective organisation for the future”. “Rather than launch a series of extravagant external functions to mark this milestone we have instead decided to have small internal celebrations in each of our offices in Cairns, Sydney, Canberra, Melbourne and Brisbane to thank our people for their commitment and helping us achieve 30 years”. Lambert & Rehbein will be releasing a special edition of their long running newsletter “Insite” in November that will outline each sector of their business and its history which is just ahead of their traditional Christmas calendars that will be released in December.